Early-bird registration is open for FTR’s 13th Annual Transportation Conference scheduled for September 12-14 in Indianapolis, IN. FTR’s annual conference is recognized for delivering the most complete and comprehensive outlook on freight transportation in North America. Attendees receive in-depth information from industry leaders on all the surface freight transport modes. Presentations and panel discussions will cover the economy, freight demand, competition between modes, carrier & shipper behavior, and demand for new transport equipment. This comprehensive conference offers content channels to help guide attendees towards the sessions most appropriate to their business needs. The four channels are State of Freight, Shippers, Brokers, & Carriers, Rail Equipment, and Truck & Trailer Equipment. Over seventy industry thought leaders will present on current topics within each of these tracks. FTR is excited to present a new lineup on Tuesday to kick off the conference. Entitled “Freightology”, the afternoon will be filled with quick hitting presentations by industry thought leaders exploring transformative ideas in the freight transportation sector. The 20 minute presentations will provide attendees with thought provoking information, ideas, and innovations. The FTR conference is the premier forecasting event of the industry offering insights, knowledge, and strategic networking opportunities. To register for the conference and view additional information please visit www.ftrconference.com. For more information about the work of FTR, follow on Twitter @ftrintel, listen to podcasts on Stitcher, sign up to receive the State of Freight TODAY monthly eNewsletter, or call Helen Lile at (888) 988-1699 Ext. 1. 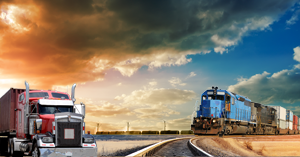 For more than two decades, FTR has been the thought leader in freight transportation forecasting in North America. The company’s national award-winning forecasters collect and analyze all data likely to impact freight movement, issuing consistently reliable reports for trucking, rail, and intermodal transportation as well as providing demand analysis for commercial vehicle and railcar. FTR’s forecasting and specially designed reports have resulted in advanced planning and cost-savings for companies throughout the transportation sector. Learn more at FTRintel.com.